We are very excited for our Project Manager, Laura, who is currently enrolled in the Culinary Arts Program at The Art Institute of Vancouver! Laura is still working full time for Beelineweb.com, but is now following her passion, which is cooking and learning as much as she can in culinary arts. In this program, Laura will learn everything from basic knife skills and different cuts, to international cuisines, to safety and sanitation, to baking and pastry, and more. We asked Laura a few questions about her decision to attend culinary school, what she’s most excited about and how she’s found it so far. 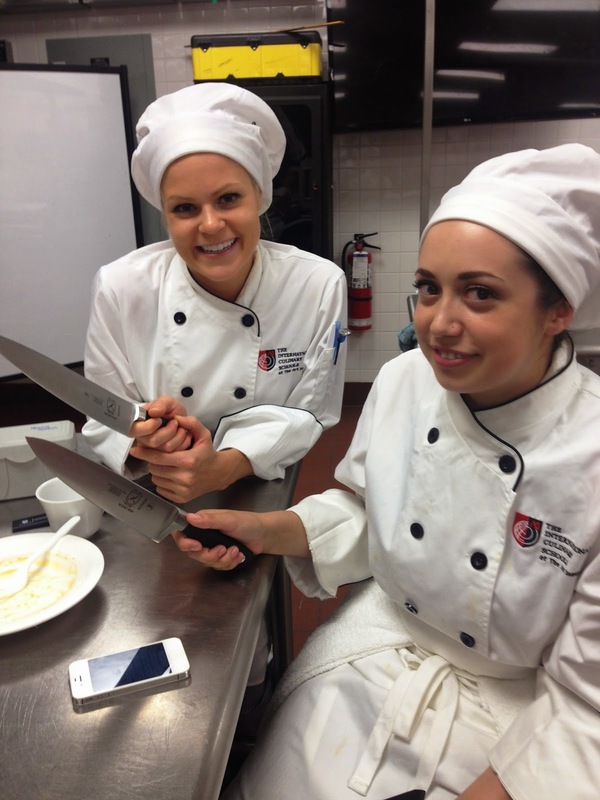 Beelineweb.com: What made you decide to go to culinary arts school? Laura: Saying that I love to cook is an understatement. Cooking is my passion, and I've always wanted to go to culinary school. Beelineweb.com: How did you pick The Art Institutes? Laura: I have always been drawn to The Art Institutes because they are a unique, creative school that’s full of passion. Beelineweb.com: What is your favourite part of the program? Laura: I love spending my time learning in the kitchen, and being in the kitchen hours on end definitely satisfies my love of cooking. I also enjoy spending time with others who share the same interest. I love being able to ask my chef instructor any questions while cooking instead of having to Google it like I do when cooking at home. Beelineweb.com: What are you looking forward to learning the most? Laura: I am so incredibly excited to further my cooking skills and knowledge and to learn from talented chefs first-hand. I am especially looking forward to learning flavor pairing, presentation, world cuisines, Asian cuisine, baking and pastry, and more efficient culinary skills. Beelineweb.com: How are you finding the program so far? Laura: I love it! My first few weeks have been awesome. I’ve met some great people, my chef instructors are very knowledgeable and friendly, and I have already learned a ton. Thanks Laura, we are very excited for you and can’t wait to taste test your cooking when you’re finished the program! Check out some of Laura's personal creations below!